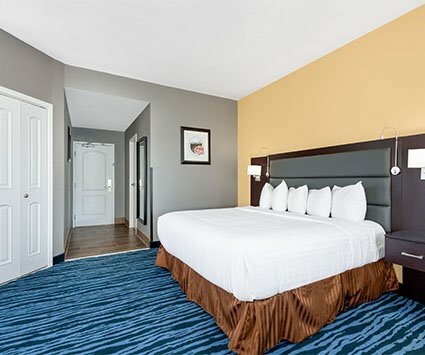 Seated in beautiful San Bruno, California the Days Inn San Francisco International Airport West is centrally located and within proximity to Bayfront Park, Central Park, and the Cow Palace. We are ideally situated just across from the San Francisco International Airport and a short drive from the financial district in San Francisco. 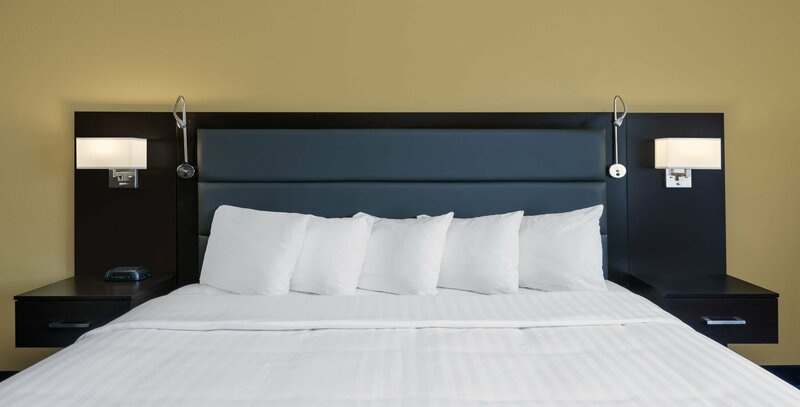 Our location is ideal not only for both business travelers and vacationing families but also students as our San Bruno hotel is situated 15 minutes from San Francisco State University, and 26 minutes from Stanford University. 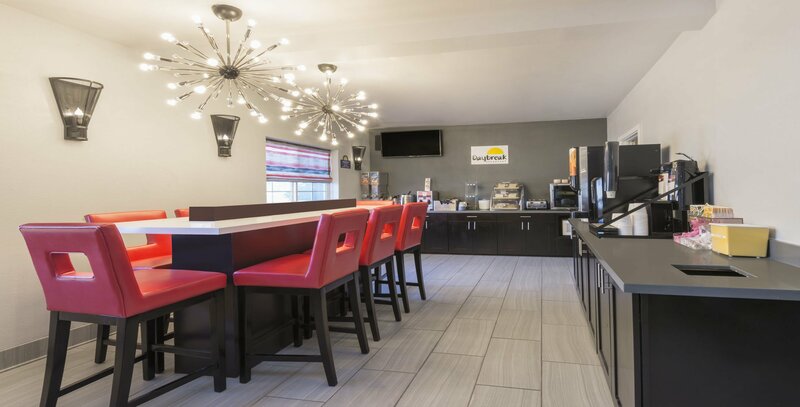 Our Days Inn Hotel is in close proximity to various restaurants, golf courses, and various famous San Francisco Bay Area attractions thus making our SFO hotel the ideal lodging choice for travelers. At Days Inn San Francisco International Airport West, exceptional service and guest comfort are our top priorities. 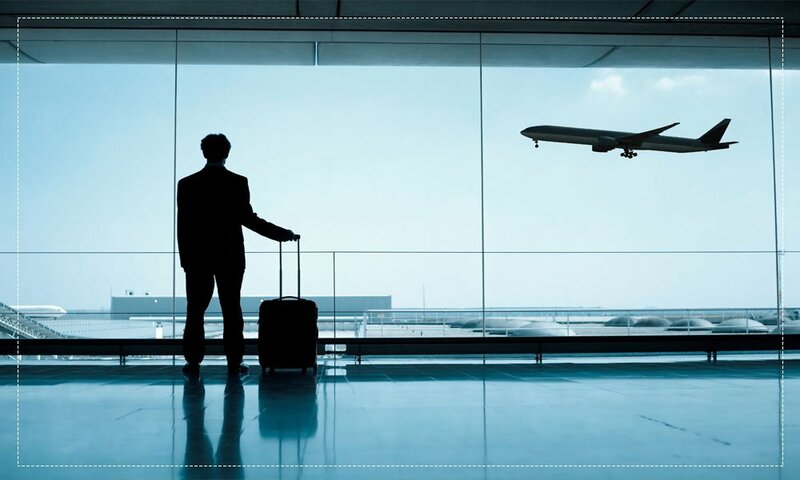 We provide unique touches like a complimentary round-trip airport shuttle, a multilingual staff, complimentary WiFi and a business center with copy and fax services. Guests of the hotel enjoy our complimentary continental breakfast served daily between 6 AM and 9 AM, as well as coffee and tea available in our lobby throughout the day. As an added convenience, our smoke-free property provides safe-deposit boxes, luggage storage, and complimentary newspapers that are available in our lobby. Days Inn San Francisco International Airport West is equipped with an elevator and complimentary guest parking. 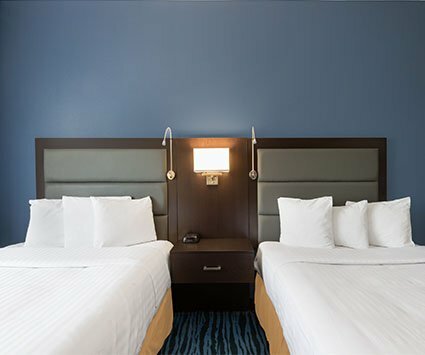 Days Inn San Francisco International Airport West in San Bruno keeps guest close to transportation, and favorite Bay Area landmarks and attractions. 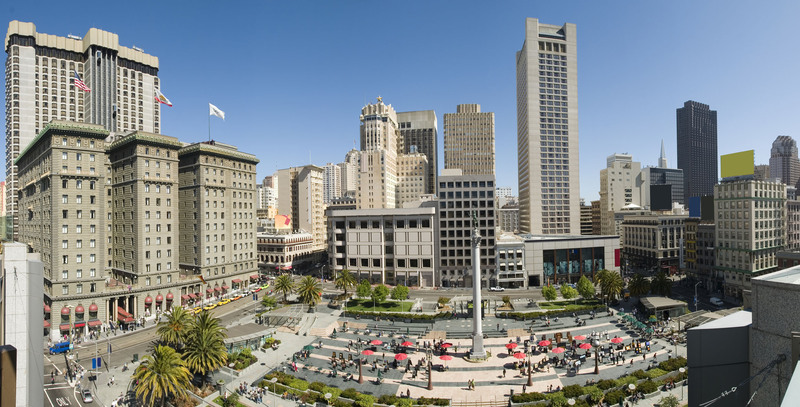 Our hotel's central location makes San Francisco International Airport a stones throw away, and a short drive from San Francisco's Financial District. For students and families traveling to the Bay Area, we are 15 minutes from San Francisco State University, and 26 minutes from Stanford University. As you drive north on Highway 280 or Highway 101 you will reach the heart of San Francisco and the epicenter of Silicon Valley, home to various tech titans; such as, Twitter, Uber, and Salesforce. As you traverse the rolling hills of San Francisco you can visit various famous landmarks like the Golden Gate Bridge, Coit Tower, Fisherman's Wharf, and more. Come relax and enjoy your time in the San Francisco Bay Area by staying with us at our Days Inn Hotel. 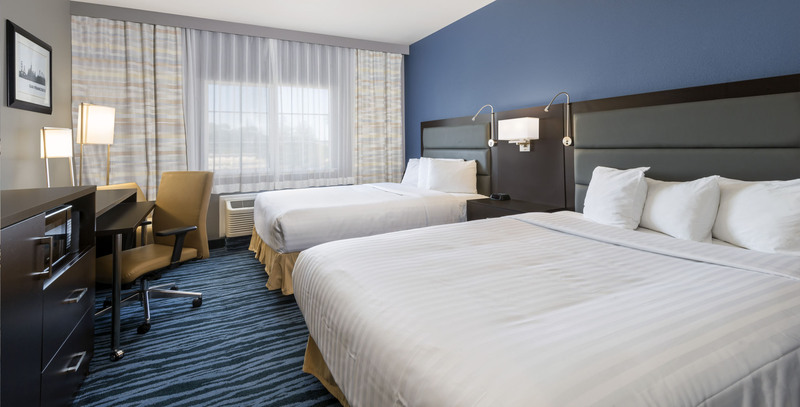 Our Days Inn Hotel located in San Bruno, California offers modern accommodations just minutes from Downtown San Francisco and San Francisco International Airport. Click view more to explore and see what we have to offer our guests. 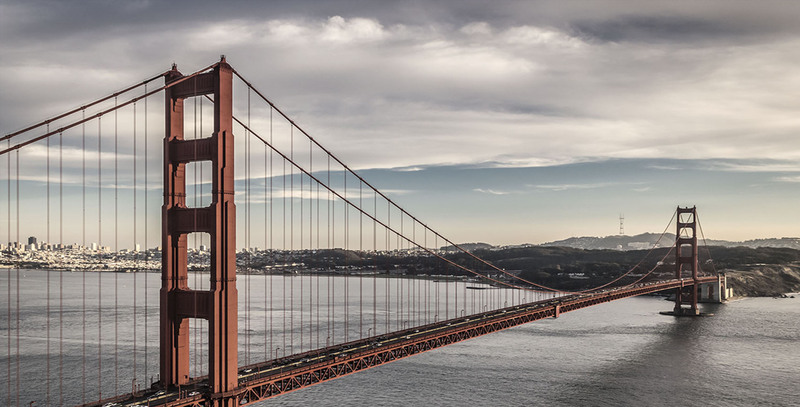 From visiting iconic landmarks such as the Golden Gate Bridge or the Winchester Mystery House to catching a San Francisco Giants game at AT&T Park and going wine tasting in Napa Valley there is plenty to do while visiting the San Francisco Bay Area. 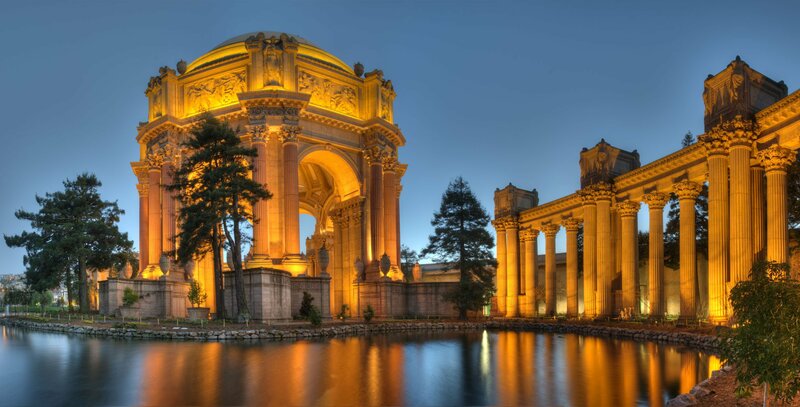 Click view more to see what various attractions are located near our San Francisco International Airport Hotel. 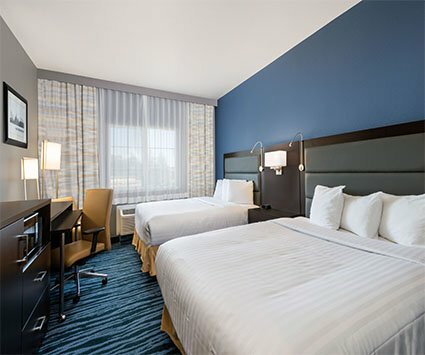 This website is maintained by Days Inn San Francisco International Airport West , a licensed user of certain proprietary trademarks and service marks of Wyndham Corporate.